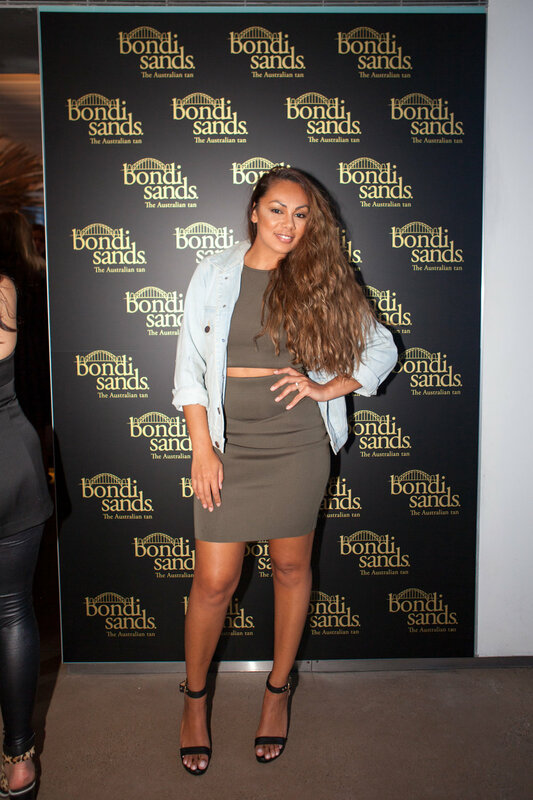 Bondi Sands have launched their latest tanning innovation this week, the new Liquid Gold. Hitting stores now, Liquid Gold gives you the ideal shade of sun- loving sun kissed perfection with a sheen of glowing gold that is dry to the touch within seconds. 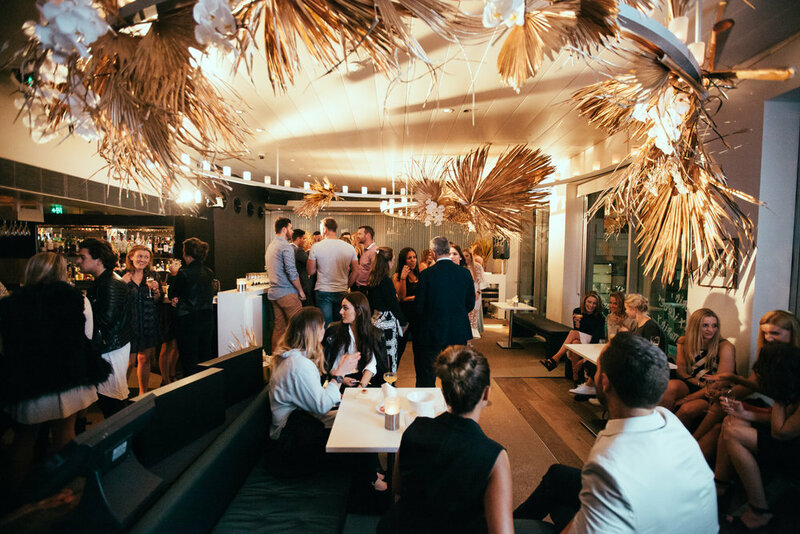 Held at Icebergs this past Wednesday, the launch event saw a guest list of influential beauty media, bloggers and VIP celebrities. The bar room was transformed with gold palm leaves and orchids from Grandiflora. Liquid Gold and limited edition gold mitts were set up to view around the entire room with guests enjoying gold nail foiling from nail artists atBrillbirds NSW. The latest campaign video featuring Steph Claire Smith played on loop throughout the day and night. The VIP launch party kicked off with music by DJ Sarsha Simone and 24K gold topped cocktails. Celebrities and faces including Prinnie Stephens, Laura Csortan, Lisa Clark of Big Brother, The Bachelors Zilda Williams, Dena Kaplan, Renee Somerfield, Rochelle Fox and stylist Donny Gallella attended the launch of Liquid Gold.